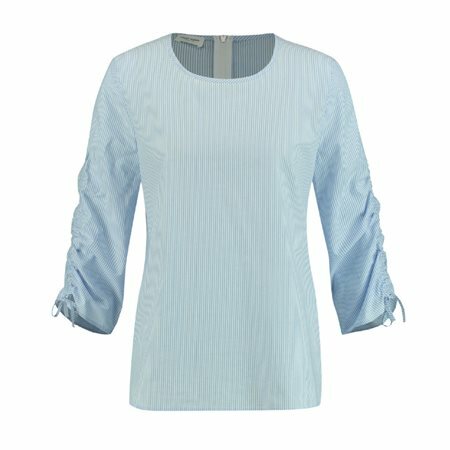 Stipe cotton blouse is a stylish piece for the summer wardrobe. It has a tie detail on the sleeve to add a little interest. Great paired with a white trouser or summer crop.